Learn how to break down the UI of the world’s second largest search engine, and create your own animated YouTube channel. Recreating the UI of any platform can seem like a lot at first, but once you inspect each individual element, it becomes easier to understand the layout. YouTube has been around for over ten years, which means the platform has been in the design works for a long time. Though, YouTube has undergone updates and will continue to change, after watching this tutorial, you’ll be able to take years of work and recreate it within minutes. 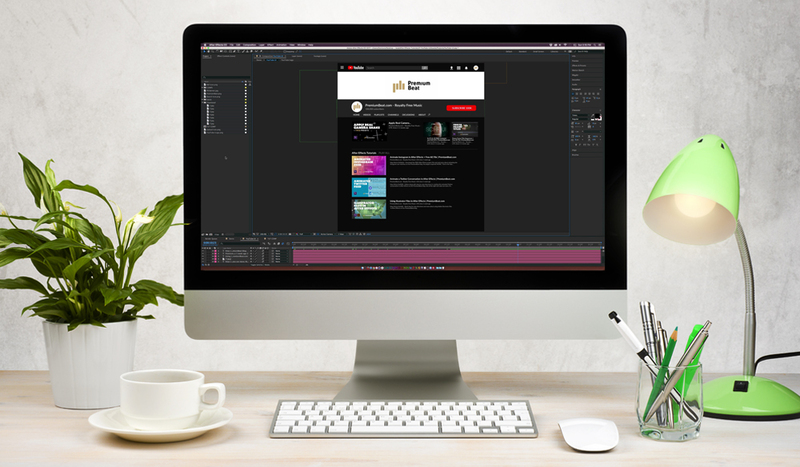 This After Effects tutorial focuses on the the UI of YouTube’s channel page. However, if you want to recreate the home page or the video page, this tutorial will provide the guidance you will need. Why Recreate the YouTube UI in After Effects? There are many reasons why you might want to redesign the UI of social media platforms. You may have a project that requires a screenshot of a video page or channel. If so, now you can bring boring screenshots to animated life! You can direct attention to important elements, like subscriber and view counts. Instead of showing a simple YouTube icon at the end of your video, you can physically show people specific elements of your channel. The ability to recreate the YouTube UI will give you the power to draw amazing attention to detail. Follow along with a free After Effects project file, which you can download here.